Readers have until 11:59 p.m. EST on February 2nd to win. 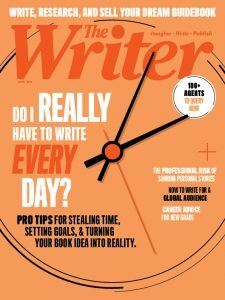 “Writing is not the memorialization of ideas. 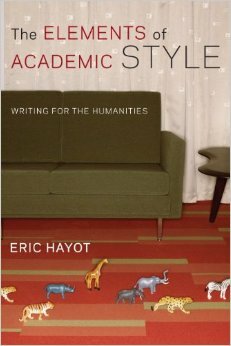 Writing distills, crafts, and pressure-tests ideas—it creates ideas,” writes Eric Hayot in The Elements of Academic Style. “You cannot know what your ideas are, mean, or do until you set them down in sentences, whether on paper or on screen. It is also why the essay or the book you write will not be, if you are open and generous and unafraid, the essay or book you started with. To understand that process as a good thing and to develop a writing practice that helps you inhabit it: those are the two projects of this book,” he continues. Hayot’s book attempts to focus specifically on academic style at the sentence level; on a larger scale, he looks at the “psychological and working structures” needed to write as well as the genre of academic writing as a whole. To enter to win a copy, fill out the form below. Readers have until 11:59 p.m. EST on February 2nd to win.